Are you having trouble paying your bills while you wait for the outcome of your personal injury case? Have you been turned down everywhere you looked to obtain money to help you get by during this difficult time? Do you have nowhere else to turn to? LH FUNDING is here to help you! LH Funding Corporation has been helping personal injury plaintiffs with their economic needs like paying rent, paying for their medical treatment, car payments, essential monthly living expenses, etc. 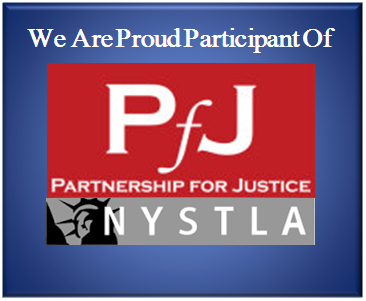 As a plaintiff, the assistance that we can provide you will be a great help! There is no minimum or maximum funding amount. LH Funding reviews each case individually and will work with you and your attorney to come to a mutual agreement as to the most sensible funding amount. NO UP FRONT FEES OR COSTS! All payments to LH Funding are due at the time your case is settled. If you are eligible, your check will typically be available within a day or two. There are no credit checks or lengthy applications. This process of obtaining money can be expensive. Please be advised that if you have any alternative means to meet your immediate financial needs, we recommend to do so. Additionally, it is best to request only the amount of money you need as it grows higher as you obtain more money. 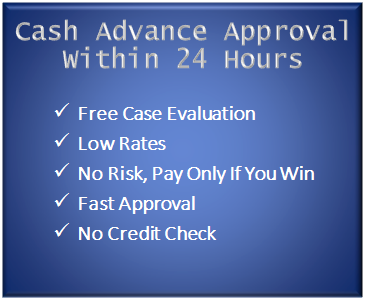 Feel free to ask us any questions with regards to your cash advance. We recommend reading the contract before accepting funds. WE ALSO PROVIDE POST SETTLEMENT FUNDING. To get started, call us now at 516-216-4353 or 800-260-0419 or fill out our online application form HERE. Copyright 2015 LH Funding Corp - Plaintiff Advance Funding. All Rights Reserved.